Why would I need self storage in Millersville, MD? 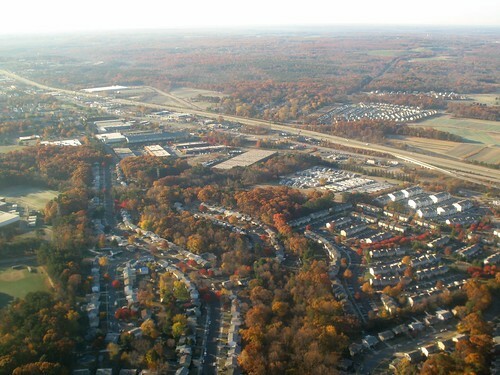 There are a variety of reasons why you might need self-storage in Millersville, MD. How much is a storage unit in Millersville, MD? The cheapest storage unit in Millersville, MD is $34.00 per month. What size storage units do you have available in Millersville, MD? In Millersville, MD we have sizes that range from 5'x5' to 10'x35' to suit your storage needs. How much is it for a 5'x5' storage unit in Millersville, MD? The cheapest 5'x5' storage unit in Millersville, MD is $44.00 per month. Millersville is a small coastal town in Maryland that's largely off the map in terms of tourism. This quiet retreat has some of the highest home prices in the area, thanks to its picturesque location and high-end homes. Its closest neighbor is the city of Gambrills, about 10 minutes away. Millersville has become a favorite relocation destination for older couples and retirees, thanks to its peaceful setting and luxurious communities. As with many East Coast cities, Millersville's cost of living is quite a bit higher than the national average. However, you might be surprised to learn that this small community is also considerably more expensive than many other communities throughout Maryland. This is due largely to the high cost of homes in the area, and you'll find that other everyday expenses are closer to the state average. Despite its small size, Millersville is home to a few notable attractions. Eco Adventures is a unique nature conservation facility that provides hands-on educational experiences. It features a simulated rainforest room and an underwater cave room, as well as six different species of crocodiles and a collection of amphibians, reptiles and many native mammals. The Eco Adventures facility is located adjacent to the Severn Run Wildlife Area, which stretches over 1,700 acres of preserved land. The preserve is popular with hikers and outdoor enthusiasts who enjoy exploring Maryland's natural landscape. The Benfield Sports Center is another local attraction. It offers a range of physical education classes and activities for children as well as youth and adult sports leagues. You can also rent one of the facility's courts or fields, or utilize the party room for a family birthday party. Schools in Millersville are within Anne Arundel County Public Schools. Many of the area schools are very highly-rated, earning recognition for their test scores and academic achievement. There are also a few Christian-based private schools in the area, as well as Anne Arundel Community College. Utilities: Major utilities providers in the Millersville area include Anne Arundel County Utilities and Baltimore Gas and Electric. Garbage and Recycling: As part of Anne Arundel County, Millerville receives trash, recycling and yard waste collection services. Transportation: The county offers paratransit services for senior citizens and disabled residents. Millersville homes are some of the most expensive in the area, but the high prices are primarily due to the large home sizes. If you're looking for something smaller and more affordable, you could consider one of the commiunity's town houses or smaller single-family homes. Millersville also has some new construction options, which give you the opportunity to custom design your new home. Our lowest priced units in Millersville, MD average $49.33 per month. 129 people have reserved units in Millersville, MD in the past 30 days. There are 3 locations within Millersville, MD's city limits. There are 2 locations in Millersville, MD that offer AC and Heating features.